He flipped the lesson by providing a pre-tour planner to our cruise ship cabin. 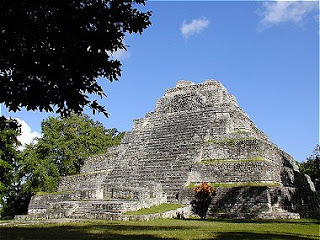 This guide included a map of the Quintana Roo province, a brief history and cultural description of Chacchoben, a Mayan calendar, and an architect's diagram of the surviving ruins. During the 45 minute bus ride to the site, Sergio established a rapport by telling a story about a Mayan family living in ancient Chacchoben. He reviewed the supporting documents, and set the collaborative tone for the tour by admitting his English language deficiency, and that we would be learning from each other as we recorded and discussed our observations. Sergio's lesson was cross-curricular. In two hours, we discussed history, geography, geology, religion, literature, architecture, art, biology, and mathematics. Sergio's formative assessments were authentic and challenging. He asked the group to compare social-political events from 200 BC to current world-wide events and issues. We were asked to predict the fate of the Mayan people based upon site artifacts and evidence. We were given a mathematical problem of identifying our current year based upon the Mayan calendar and asked the significance of the year 2012. 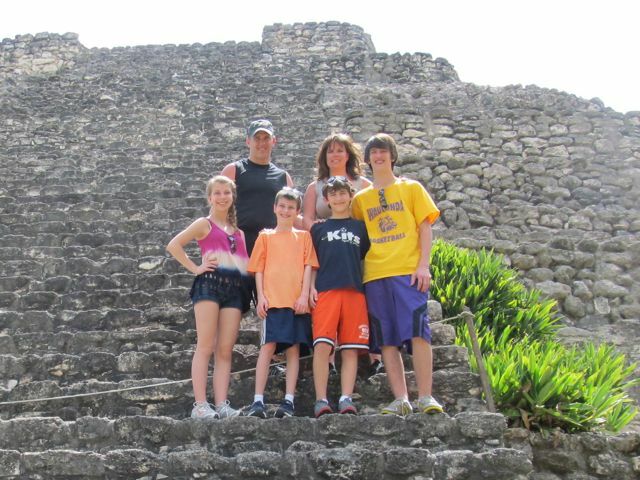 We hiked to the top of several temple ruins and analyzed the layout of the community, and suggested the functionality of the buildings based upon their size and locations. Sergio's tour became a problem-based lesson as he posed this final question to our group of roughly thirty men, women, and children, "How can we share the knowledge and experience of this place while at the same time preserving it's beauty and cultural authenticity?" My wife, Natalie, is a second grade teacher, I am a high school Technology Coordinator, our four children are enthusiastic, and dedicated students. We were all enriched by our time at Chacchoben with Sergio. We had many more questions, but we also creatively discussed a possible solution to his "problem". There is a small school near Chacchoben were a few dozen students could "connect" with our schools to teach us about the Mayan culture and the Chacchoben ruins in exchange for bringing them some knowledge of our language and culture. Sergio recognized the value of a common language, and has hopes of bringing this knowledge to area students. Sergio, Natalie, and I are working through the technical logistics now, but we all recognize the tremendous collaborative possibilities for our students as we look to establish our international connections. Look for our challenges and progress in future blog posts.